HSys makes it easy to manage all necessary client information, all in one place. Demographics (name, address, phone numbers, birth date, Medicaid details, contact information, etc.) are all managed on Page 1 of the "Patient Information" screen. 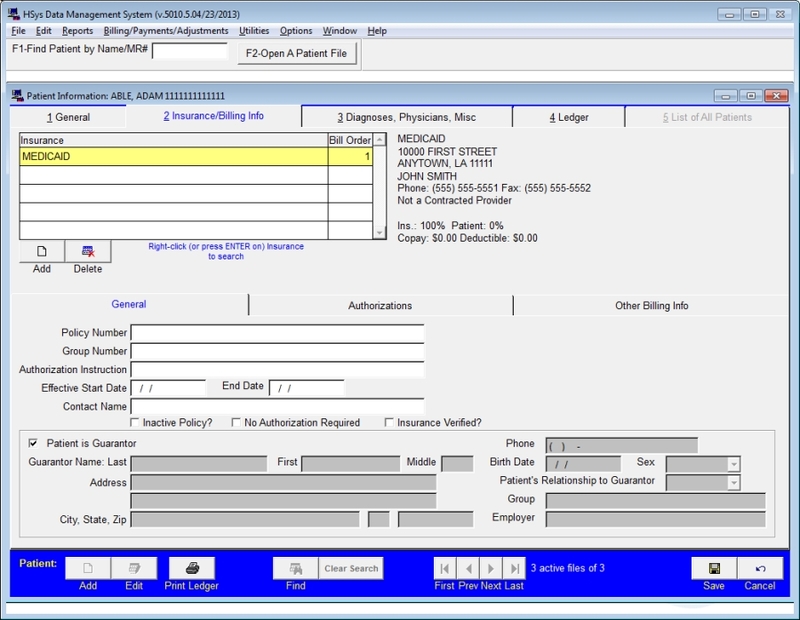 Insurance providers, other payers, insurance policy information, prior authorization details, and default billing information are all managed on Page 2 of the "Patient Information" screen. Diagnoses codes, physicians, and any other miscellaneous details are all managed on Page 3 of the "Patient Information" screen. 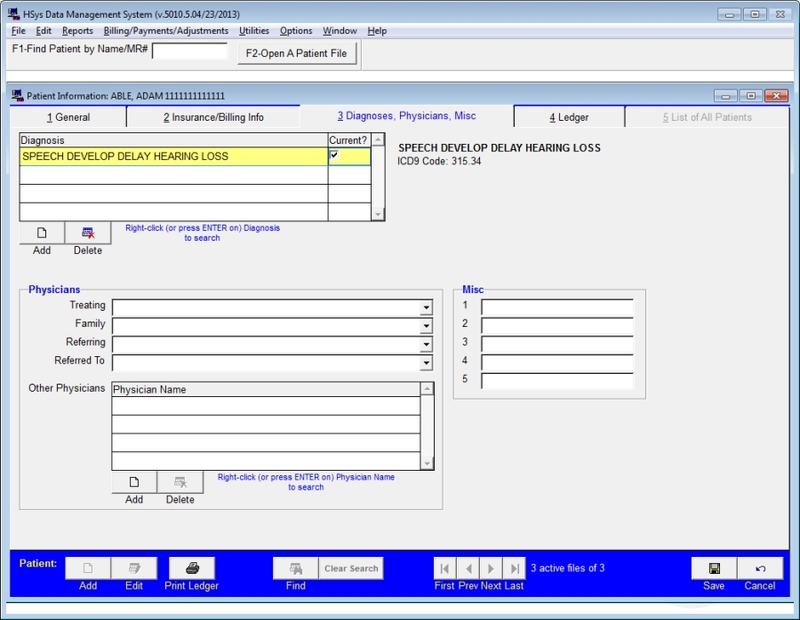 Each client has a complete ledger on Page 4 of the "Patient Information" screen. 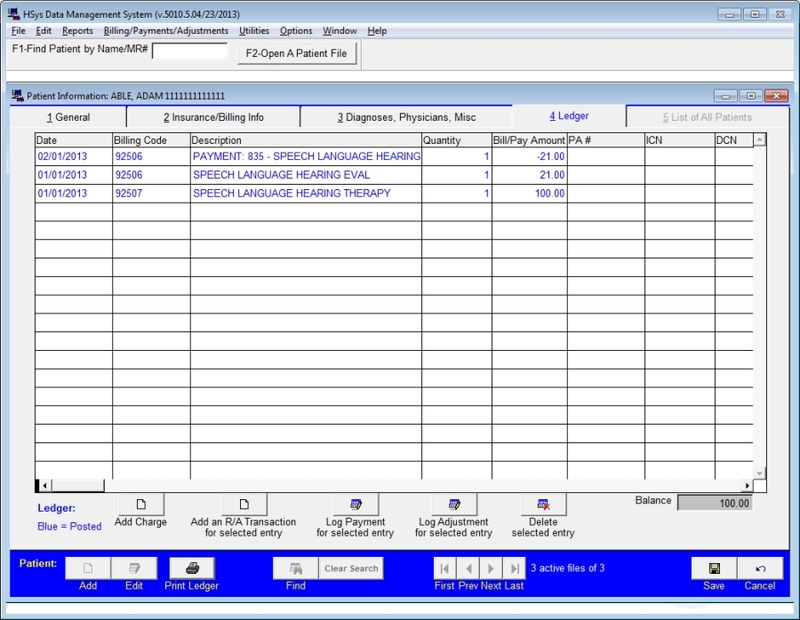 The ledger lists all transactions (charges, payments, adjustments, voids, denials, rebills, etc. 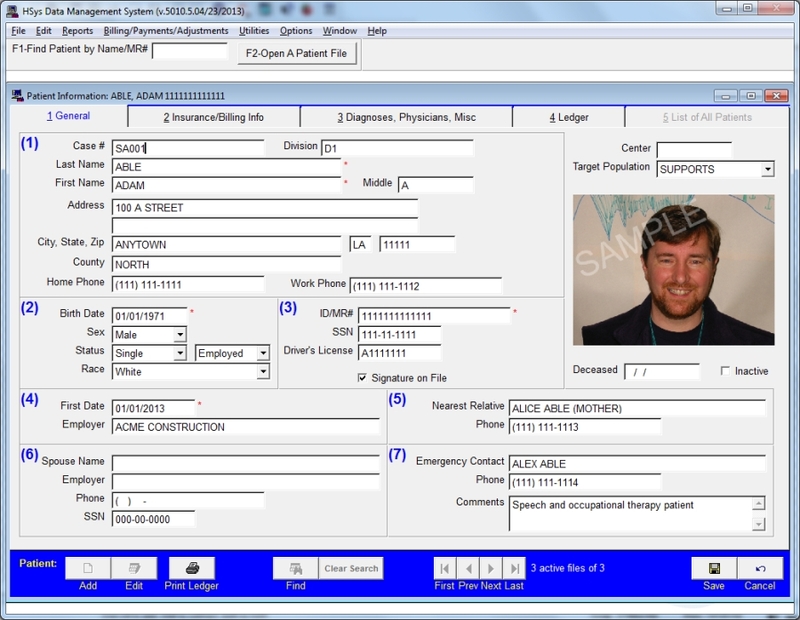 ), with dates, procedure codes, descriptions, authorization numbers, control numbers, and more. 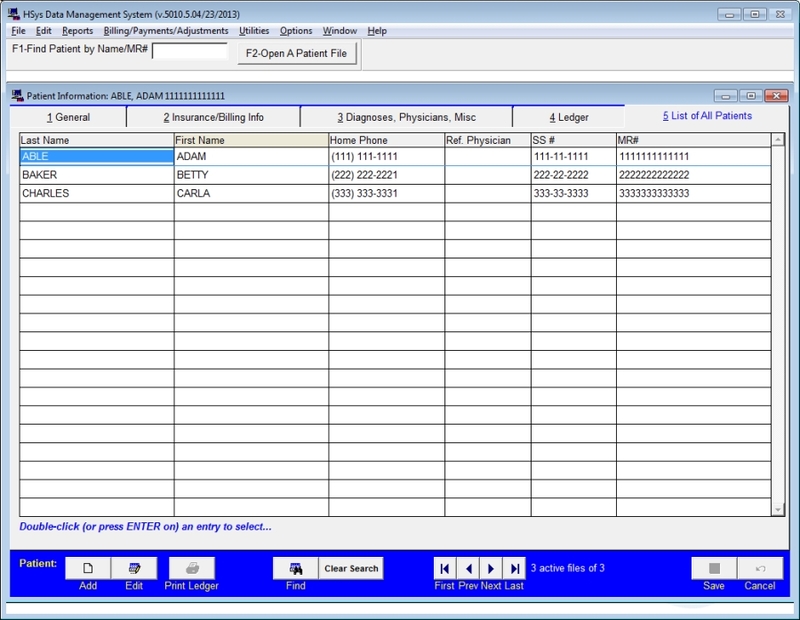 It also shows each client's current balance, and allows manual posting of amounts when necessary. Quickly retrieve any client from an alphabetically-sorted list on Page 5 of the "Patient Information" screen, or search by name, Medicaid number, or social security number. Multiple patient records can be open on your screen at the same time, allowing you to quicly switch back and forth between accounts.